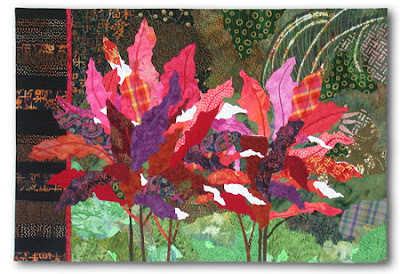 Lindner’s piece, “Ti Plants A-Glow-Glow,” is inspired by Florida foliage, as is much of her work. She enjoys depicting the vivid colors and strong contrasts found in such local scenery. Ellen Lindner’s work may be seen on her website, www.EllenLindner.com.